Parquet flooring is a very popular type of wood flooring: it makes the rooms elegant and helps to create a warm and welcoming atmosphere. The parquet floor gives warmth to our rooms, making them elegant and welcoming, but do you know how to clean your parquet without ruining it? Let's see how to keep it shiny and clean for a long time. Parquet flooring is a very popular type of wood flooring: it makes the rooms elegant and helps to create a warm and welcoming atmosphere. However, it is a very delicate floor which, once laid, undergoes an oxidation process due to exposure to light and air: this can lead to a change in color with veins that become less evident. Wood is also a "living" material because it is also affected by temperature changes, so it must be treated with care if we want to preserve it for a long time. But let's see how to clean the parquet in the right way without ruining it. What kind of parquet do we have at home? Before finding out how to clean the parquet you need to understand what type we have at home. The parquet wood can be: teak, wenge, walnut, oak, beech, etc. It is colored and treated with oil or water-based paint; in the first case you get a very natural effect, but this treatment requires special care while, in the treatment with the paint, you get a shiny effect, which makes it easier to treat. Let's see now how to clean the parquet to keep it clean for a long time without ruining it. The first thing to do to clean the parquet on a daily basis is to remove dust, in addition to hair and lint, so that it does not get damaged. The vacuum cleaner is perfect, which also helps to reach the most difficult points. Alternatively you can resort to robot vacuum cleaners that do not scratch the parquet floors and are very effective. You can also remove the dust from the parquet with an antistatic cloth able to effectively capture dust or, alternatively, a damp microfiber cloth to make it even shiny. Is your parquet oiled or varnished? In case of oiled parquet, even a wet and wrung microfibre cloth could suffice. It is important not to use vinegar on this type to avoid ruining it. To clean the varnished parquet in a natural way you can use a wet and wrung microfibre cloth using water and vinegar. 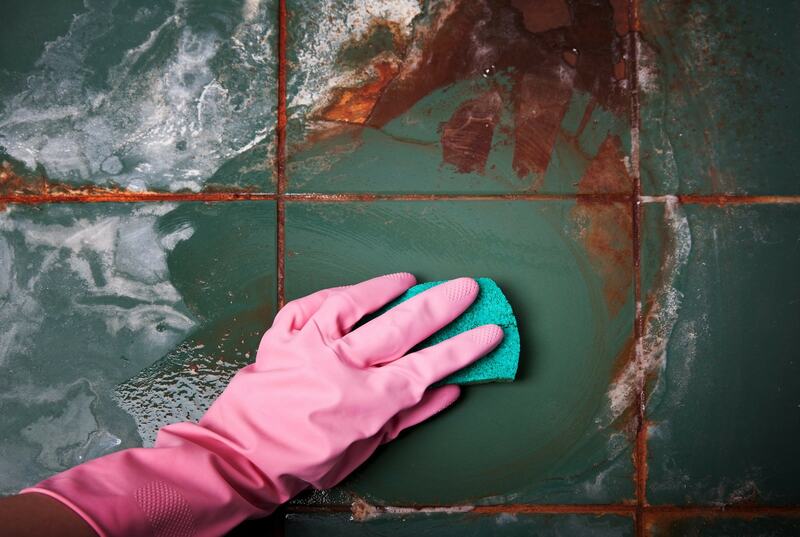 For the varnished parquet, the detergents we use for the ceramic are also good. 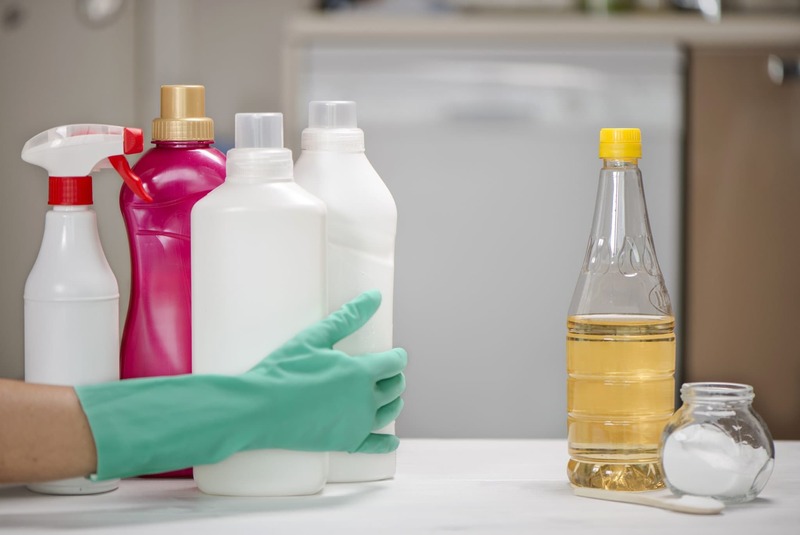 Once the dust has been eliminated, you must proceed to the proper washing and this is the most delicate phase because you have to choose the right products. Also, when washing the parquet, avoid pouring the water directly on it: wet it a little and quickly remove the water so as to avoid streaks and stains against the light. The water damages the parquet because it insinuates itself in the micro-cracks between a small wooden board and the other favoring the swelling of the wood. The products to never use with parquet are ammonia, bleach and foamy detergents that can seriously damage it. Water and alcohol as a basic method: it is one of the most effective remedies to clean any type of parquet: use a mixture of water and alcohol and clean the floor following the grain of the wood: in this way cleaning will be faster and more effective. Instead of alcohol you can add a few drops of white spirit to the water. 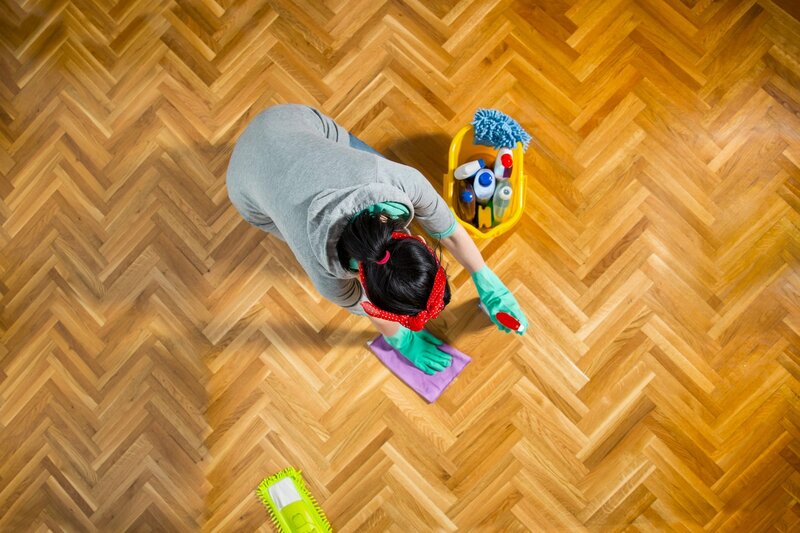 Lemon juice and olive oil to degrease and polish: if you need to clean a particularly dirty parquet, then you can use a mixture of 20 drops of lemon juice and 100 ml of olive oil: the lemon will help to degrease while olive oil will help to polish our parquet. 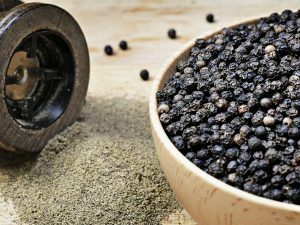 Combine the two products and pour them into a sprayer, so as to use it in a simpler way. You can also use the mixture for cleaning small wooden objects. 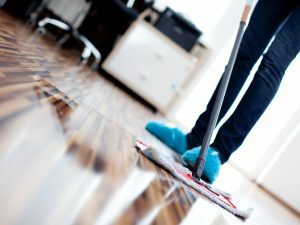 Vinegar for parquet not treated with oil: vinegar is only suitable for cleaning parquet that is not treated with oil, otherwise it is better not to use it. For washing, use half a cup of vinegar to which you can add 30 drops of mint essential oil. 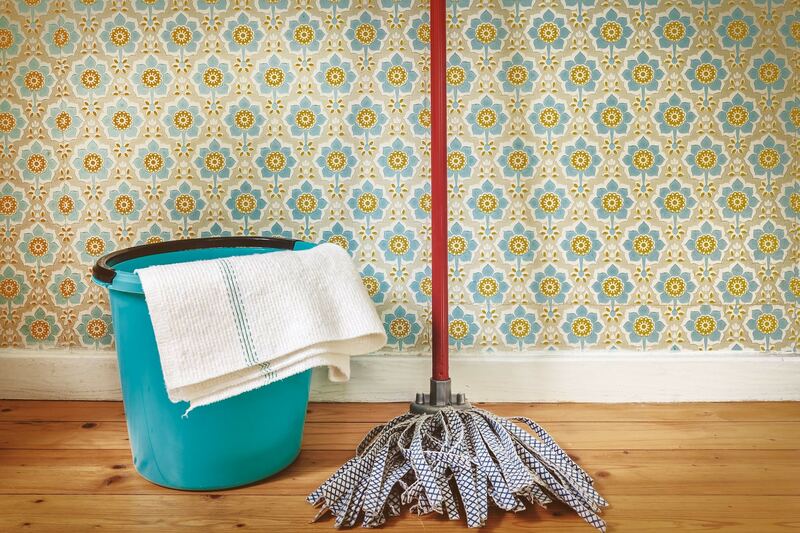 Clean the floor with a soft cloth and then let it dry. Beeswax and beer for very damaged parquet floors: if your wooden floor is particularly damaged, use a mixture of beeswax and beer: boil a liter of beer and add a tablespoon of sugar and two teaspoons of beeswax. Wait until the liquid part evaporates and the wax has completely melted, let it cool and then spread the mixture on the parquet. Once dry, polish with a soft cloth. After washing it is important to polish the parquet. Proceed always following the direction of laying of the wood so you will avoid ruining it. 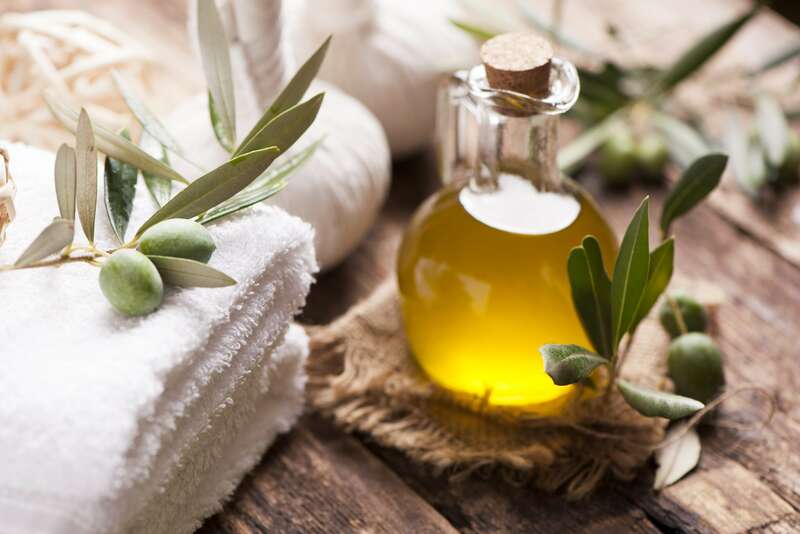 For polishing, and also for eliminating possible scratches, use a woolen cloth on which you will have to pour a few drops of olive oil: pass it directly on the floor. To polish the parquet you can also use do-it-yourself waxes, the important thing is to not always use them to avoid creating a slippery patina that could be created with the layering of the wax. 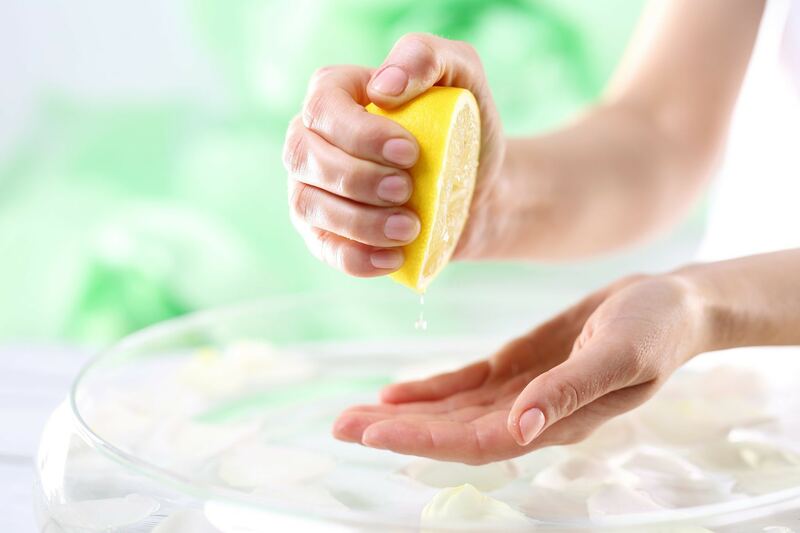 Here's how to create a natural do-it-yourself wax: mix linseed oil, a quarter of a lemon to which you can also add a few drops of essential oil of lemon and orange. The result will be perfect.